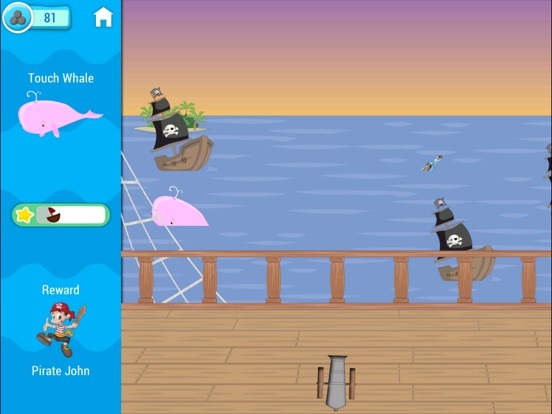 Pirate Mike and Friends is an early learning app that uses a fun pirate theme to keep children engaged while they learn. With fun activities that include shape matching, puzzles, letter painting, math concepts and more, children are offered an entertaining opportunity to learn. 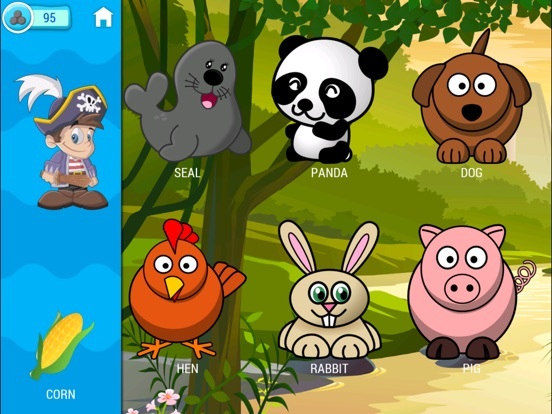 While the basic concept of the app is good and the activities are great for early learners, the overall execution could use a bit more polishing. The visuals are good, however the narration and some of the sound effects aren’t very clear or inviting for young children. 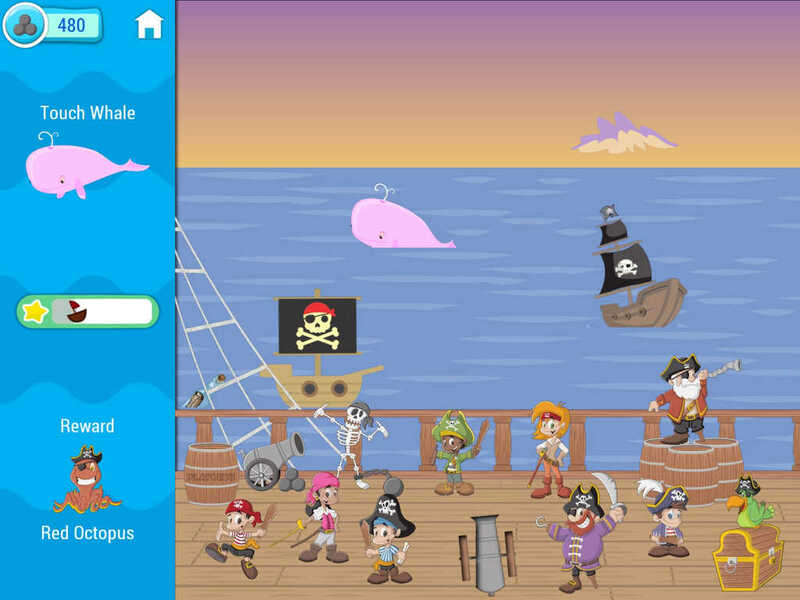 With that said, the app is fairly easy to move through as it only requires children to tap, touch, and drag their finger across the screen to move through the activities. With a bit more work on polishing the narration, sound effects, and some of the transitions this app could be very good. The educational content within Pirate Mike and Friends is good. The free version offers three activities for children to enjoy including the letter painting activity, fruit/vegetable catching, and the cannon game. 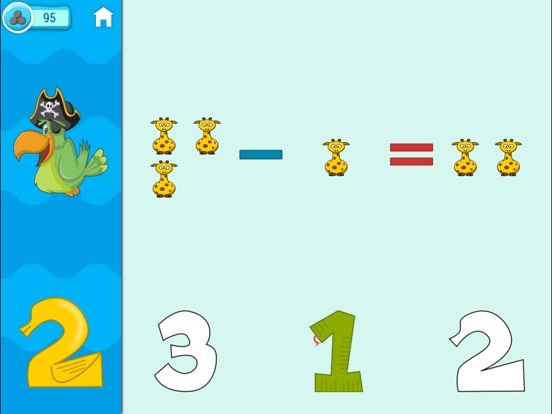 While the free option doesn’t give a ton of educational value aside from recognizing various fruits and vegetables, animals, and practicing the letters in the alphabet, the additional games offer a bit more educational value with shape matching and the math game. The additional activities offer a brief glimpse of what the full version includes so parents can decide whether they want to purchase the additional games through the in-app purchase. 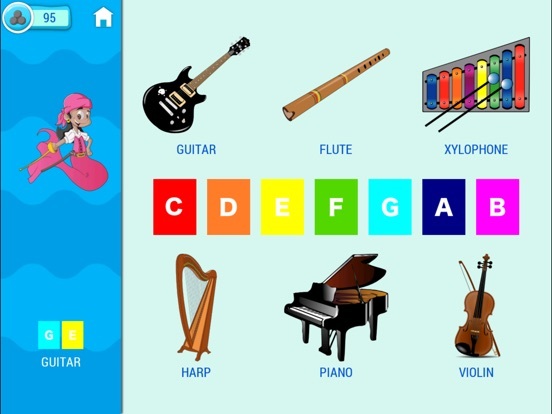 In addition to the educational value included in the app, children are going to enjoy the fun games and other activities included in the full version. The developers have done a nice job of creating a nice balance between education and entertainment in this app. With puzzles, a cannon game, and a musical activity, children are sure to stay engaged. 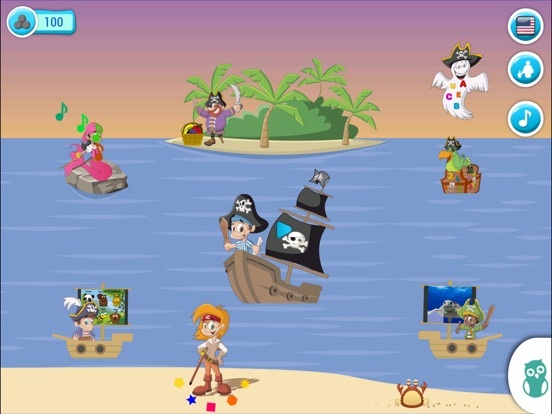 Pirate Mike and Friends is a free app that includes three activities, however for just under two dollars, parents can unlock the other five activities for children to enjoy. While the overall quality of the app could use a bit of polishing, the content is good and parents are likely to find that the additional activities are well worth the two dollars. While most of the app is intuitive and easy for children to use, parents will want to be aware that there is an in-app purchase included (that is protected) in order to unlock the additional activities. There is also an in-app advertisement (also protected) for an app by the same developer that shows up in some of the activities. This isn’t something you would typically expect in a children’s app and should be kept only in the main home page and not in the playing area. For some parents this may be a big concern.